Silver Strikers Football club left for Karonga on Thursday, April 11 in a bid to start their 2019 TNM Super League campaign on a high. The Central Bankers will play two matches in Karonga, starting with Karonga United on Saturday before facing returnees Chitipa United on Sunday. However, Silver Strikers Team Manager, Hellings Mwakusungula said much as beating the two sides at their own backyard would not be easy, grabbing six points is a must for his side. Silver did not win any silverware in the 2018 season and will be itching for a better season. Meanwhile, Chitipa Team Manager Mwaiseni Chinama said facing Silver would give them a chance to assess their players’ ability to win trophies in the 2019 season. Chinama said Chitipa have collected a squad capable of enduring the heat against the giants and remain in the elite league. “We have registered capable players and we have confidence in them. We are ready to face Silver,” said Chinama. 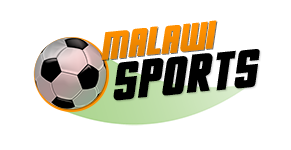 Other teams that start the campaign with away matches are the champions Nyasa Big Bullets, Moyale, Mzuni, Mighty Tigers and Civil Sporting Club.